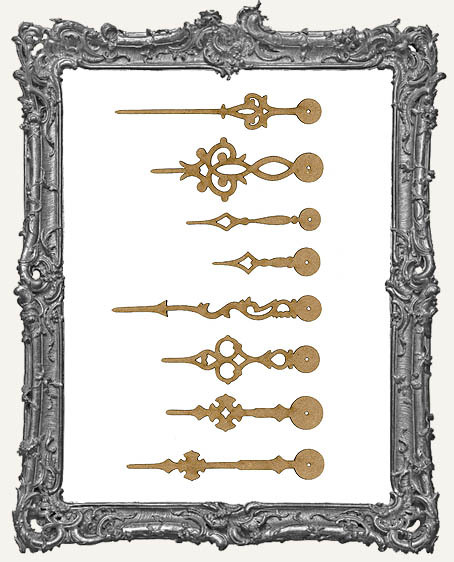 * Awesome set of 8 Clock Hand Cut-Outs! * The shortest hand is 2" long and the longest is 4" long. * Pick your choice of material below: Sturdy 1/8" Masonite (second photo), 1/16" Chipboard (first photo), 1/16" Black Mat Board (excellent choice), or .015” thick Stencil Board. * The holes are sized to fit most brads and paper fasteners. 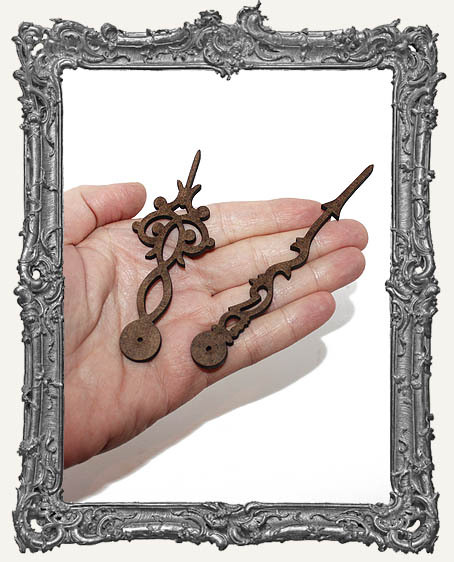 * Perfect for your Steampunk art and more!